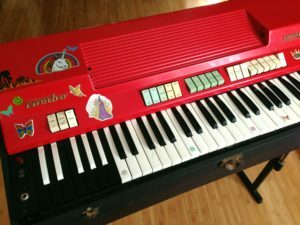 We now have a waiting list for big instruments that won’t fit on our work table like combo organs, Wurlitzers and Rhodes pianos because we only have room to work on one of them at a time. So if you have a big instrument like this that you’d like us to work on any time in the next several months, it might be wise to get in touch now so you can get into the queue. We’re currently scheduling them out into April already. I just finished restoring this whimsically decorated Combo Compact belonging to Tara Burke, whose music project Fursaxa I have enjoyed for many years. 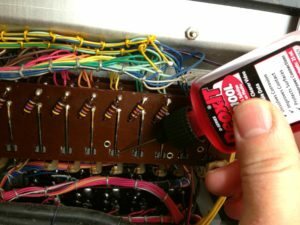 Here’s a bit more detail about cleaning Farfisa key contacts that I didn’t have the space to get into in my organ repair article for Reverb. 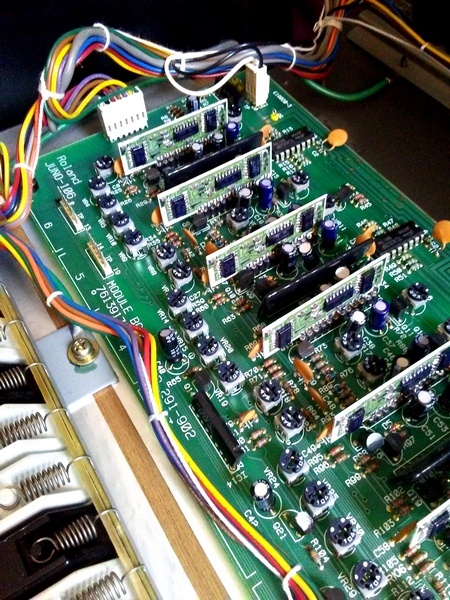 Farfisa organs have among the most difficult-to-clean key contacts of any organ. They can only be accessed with the carcass/guts of the organ lifted out of the chassis and flipped onto its “back” so the keys are pointing up vertically. 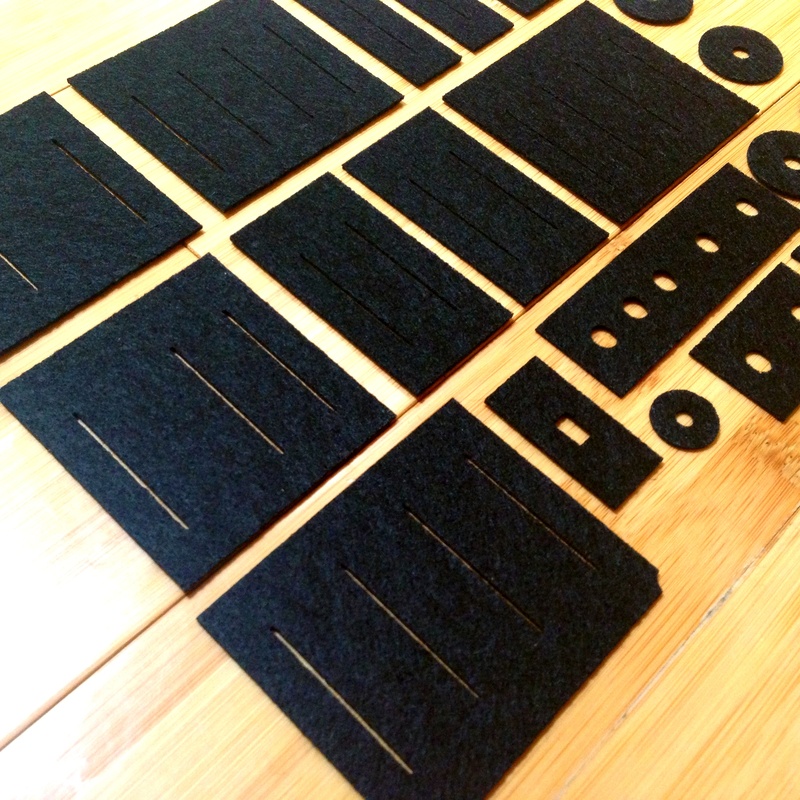 In a Combo Compact or Mini Compact there are three levels of key contacts, one for each footage (16′, 8′ and 4′) and in a Compact Deluxe there are five! It’s very hard to access these back rows for cleaning, and spraying in contact cleaner isn’t usually adequate. 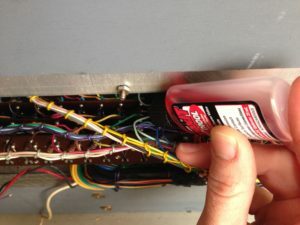 You can solve the problem with spray Deoxit D100 but you’ll easily use an entire $18 can and end up making your entire organ greasy. I use the “needle Deoxit” (D100L with a needle dispenser) to clean them and it can be done very efficiently. In the front row, you can just stick the needle behind the spring at the bottom, where it is supposed to make contact. In the back rows, even if you can’t really see anything, poke around with the needle to find the slit behind each spring. Then tilt the needle back out of the slit so you can “inject” the Deoxit into/onto the spring itself. It’s OK if you can only reach the top of the spring. The Deoxit will impregnate the whole spring within a few seconds. Then just work the key for a while. Even if it’s not completely better after this, you may find it resolves itself after several hours of just sitting, because Deoxit starts a chemical reaction that takes a while to play out. I have a Farfisa Mini Compact that I just bought. Everything works with the exception of all the C and C# Keys. They sound, but it’s distorted sound. Any suggestions? Thank you for your time and any help you may impart. You probably have something wrong with the top note oscillators for each of those notes. Replace the electrolytic capacitors in them first, and if that doesn’t work, the transistors. You should be able to find replacements on Ebay! 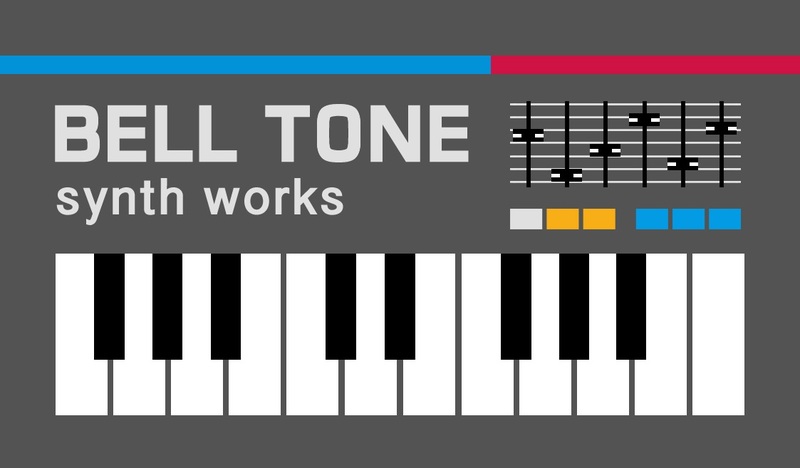 Next Next post: new Buchla Music Easel – intermittent or “dead” touch keys?